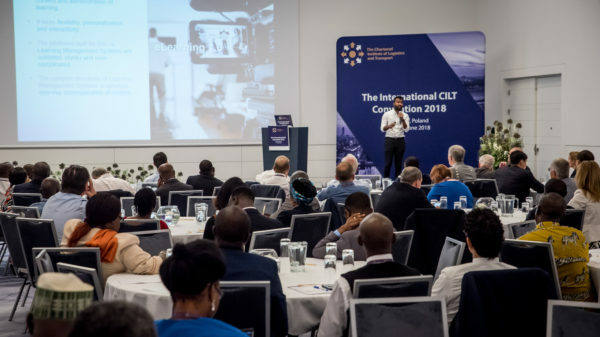 A key part of CILT’s mission is the creation and delivery of high quality educational and professional development tools. 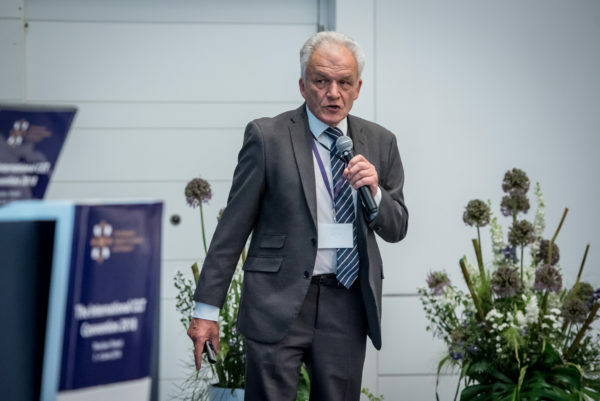 At International Convention 2018 in Wroclaw last June, Jan Steenburg and Jon Harris of the International Educational Standards Committee led a session on the current state of our educational offering, and their plans for the future. Jan also talked about the importance of education to CILT and our aims as an organisation, ‘If we want to be the international professional body of choice, we must demonstrate that we understand what is required of people in our profession, and that we have ways of supporting them throughout their career.’ He further highlighted the need to keep our learning accessible to ‘everyone, everywhere’, and to embrace the use of technology to help in our aims. Crucially, digital learning is here to stay, and it is only going to grow. ‘The question today shouldn’t be do we need e-learning…the question really should be…how are we going to do it? E-learning is no longer a question, it’s a must. 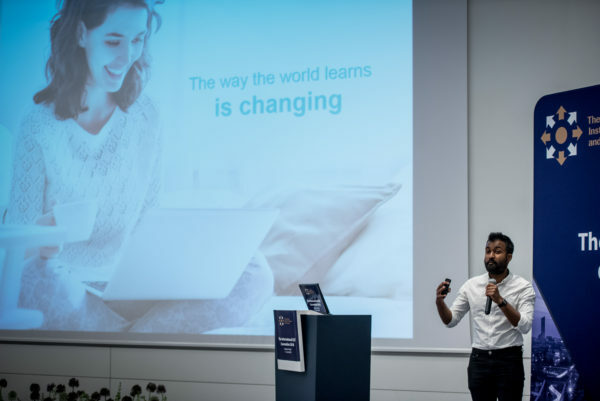 The market is expected to grow to 240 billion dollars by 2023, and that’s only taking in to account corporate and academic learning…since the year 2000 e-learning has grown by 900%’. Andy and Pat have created Business on the Move using a Community Interest Company (CIC) model. 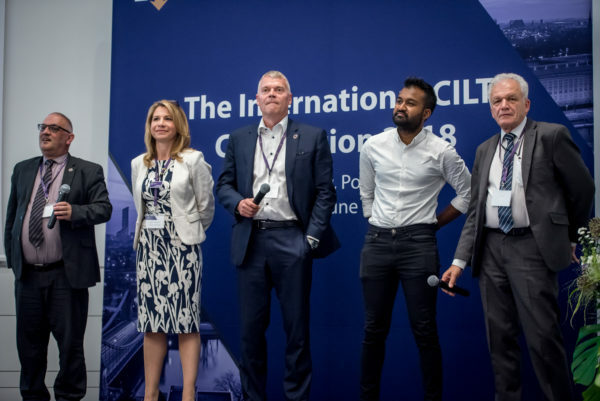 Introduced by the United Kingdom government in 2005, CICs are designed for social enterprises that want to use their profits and assets for the public good. A CIC is limited by guarantee, there are no dividends, and any profits made are asset-locked by statute and must be invested in the community. Jon Harris then returned to the stage, to speak about the great strides forward being made by CILT Kazakhstan, saying ‘the journey they have been on in the field of education has been quite outstanding.’ Jon was joined onstage by International President Kevin Byrne, who presented several Kazakh Young Professionals with their certificates. 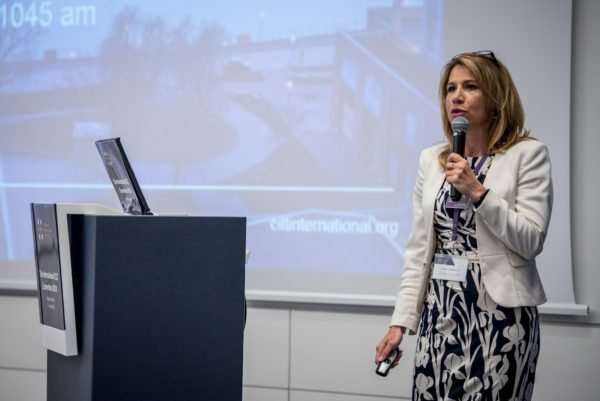 Following the presentation, the new Director of Education, Training and Qualifications at CILT UK, Emma Jennings spoke on the topic of excellence in training organisations, focusing first on the importance of retaining employees, employee engagement, and education’s role in employee engagement. Emma then posed two questions, firstly ‘Is education the solution to my problem?’ and secondly, ‘How can I ensure that education is effective and of quality?’ Drawing parallels with the actual business of logistics, Emma said that ‘logistics is all about getting the right stuff, in the right place, at the right time, and it’s the same for education’. The final part of the session was dedicated to a question and answer session with the panel of speakers. 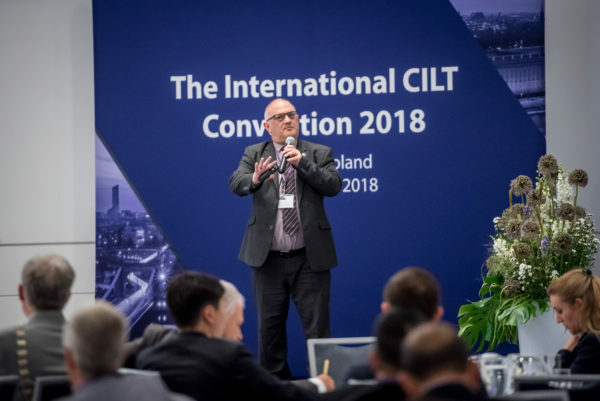 CILT International is grateful to everyone for their contributions. 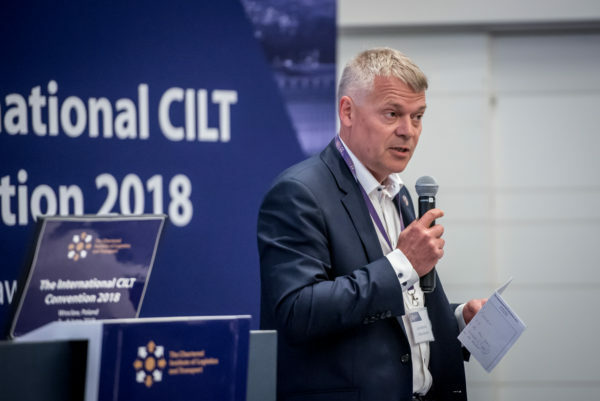 CILT International Convention ran this year from the ‘3rd to the 6th of June’ under the twin themes of Linking CEE to the World and The Electric Car Revolution and its Impact on Logistics. 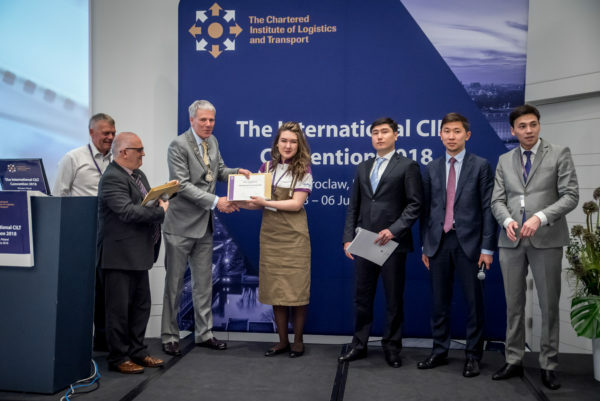 Delegates enjoyed an exciting 4-day programme, including presentations by Professor David Cebon of the Centre for Sustainable Road Freight, Professor Hugo De Campos of the Mike Ilitch Business School, logistics expert Professor Kim Hassall, and Chris Jones, Vice-President and Chief Analyst at Canalys. You can catch up on this and other presentations via our Facebook videos page. The PowerPoint presentations from International Convention are also available on our SlideShare page. Next year we will be in Manchester for International Convention 2019. 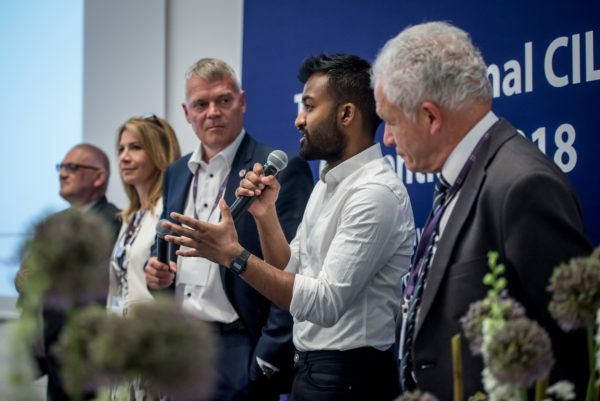 Organised under the theme of Global Solutions to Global Challenges, Industry 4.0, Future Leaders (YPs), and Women in Logistics and Transport (WiLAT) will be at the heart of International Convention 2019. Join us in there to celebrate our centenary, and help shape the next 100 years of our Institute and our industry. 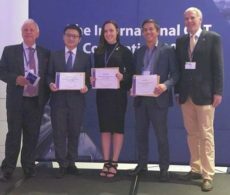 Ir Zhang Xin-yu Gary, a Young Professional from Hong Kong, has been announced as the Chartered Institute of Logistics and Transport’s International Young Achiever of the Year.